Pirates just got a little bit hotter! Disney and Gentle Giant have teamed up to bring you highly stylized, animated versions of your favorite characters from the Pirates of the Caribbean films. 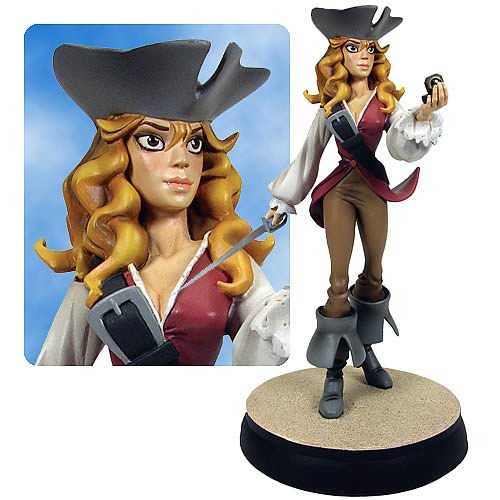 With bright colors, fine detailing, and a unique look, this version of Elizabeth Swann is sure to brighten up your collecton. She stands 10 1/2-inches tall and comes with a hand-numbered certificate of authenticity. Limited edition of 1,000 pieces.